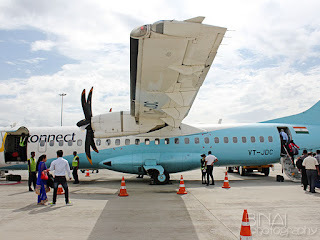 The Jet Turboprop to Kochi! This was not a trip planned long in advance - but sufficiently in advance to get some good rates! I was heading to Kerala for a conference. Since the conference was starting in the morning, and the venue was a bit away from the airport, I had to reach there the previous night itself. I wanted a flight that leaves late afternoon or early evening. I checked tickets on three of my regular OTAs, and zeroed in on a Jet Airways flight that left at 1545hrs - I don't remember seeing this flight earlier. However, when I got my e-Ticket, I realised that this is not a new flight, but the 1705hrs flight rescheduled to 1545hrs. I had to leave home quite early for the 1545hrs flight, since I had to finish off some other work on my way to the airport. I tried booking a cab with a cab aggregator, but the cab never turned up. As I was getting late, I had no option but to start off with my car from home. I left the car at the long term parking at a bus station en-route and they got a cab to reach the airport. I was dropped at the airport around 1415hrs. 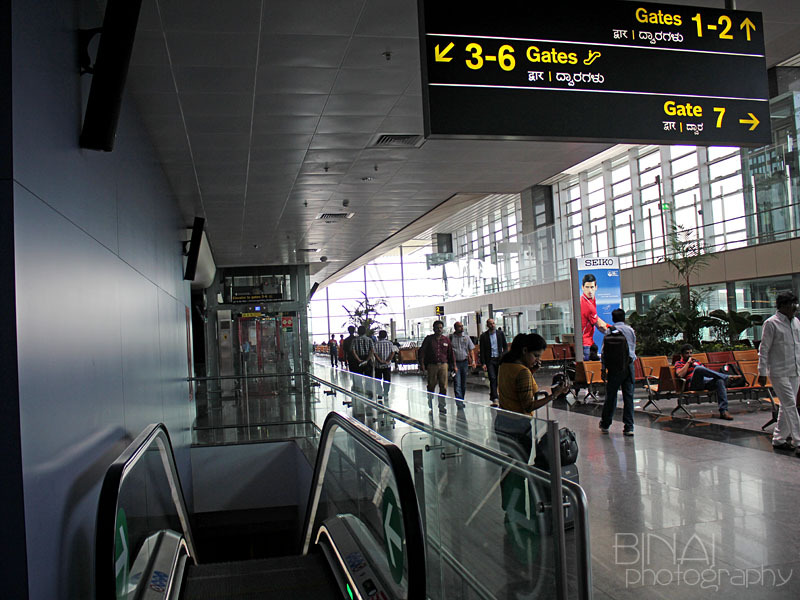 The airport wasn't very crowded - it was an afternoon on a middle-of-the-week working day. I headed straight to the Jet Airways check-in counter to check-in my baggage and get my boarding pass - as usual, I had checked-in the previous day through the Jet Airways App. Check-in was swift, and I was on my way to Security check in under 5 minutes of reaching the airport. I cleared security by 1424hrs. 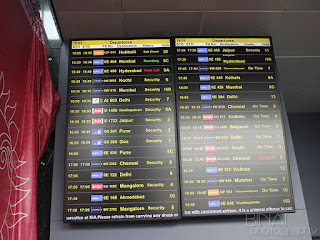 I was in the security hold a good hour before departure. 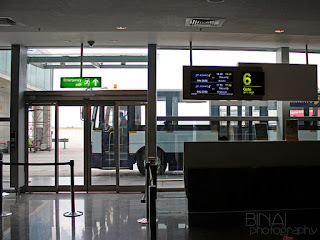 Thats the Jet Airways Check-in counter nearby..
As usual, boarding would be from a bus gate - and with lots of time to spare, I headed straight to the waiting area near Gate #1. 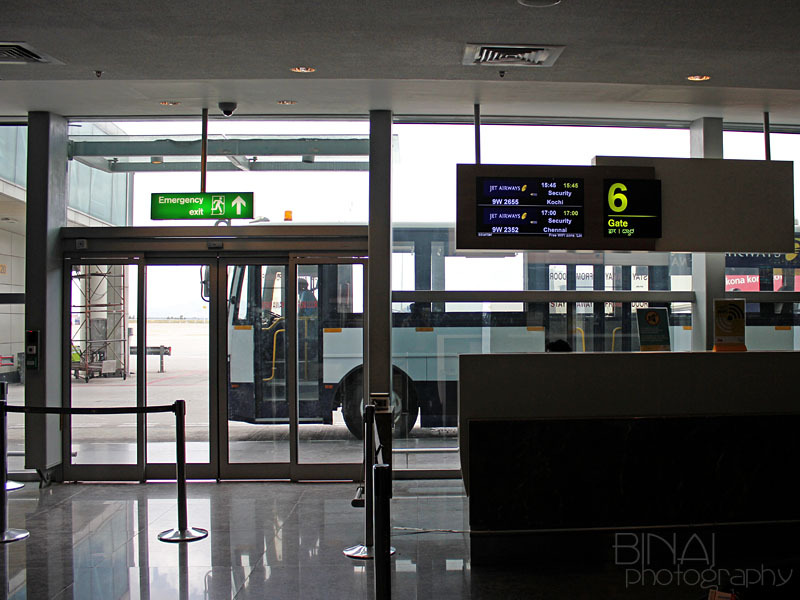 The apron was quite busy at this time - Air Pegasus to Hubballi was boarding, so was Spice Jet to Vizag. Indigos kept coming in, with one odd-man Air India breaking the monotony as well. But then, it was Airbus country, clearly! I was more interested to see the happenings in the Turboprop territory. 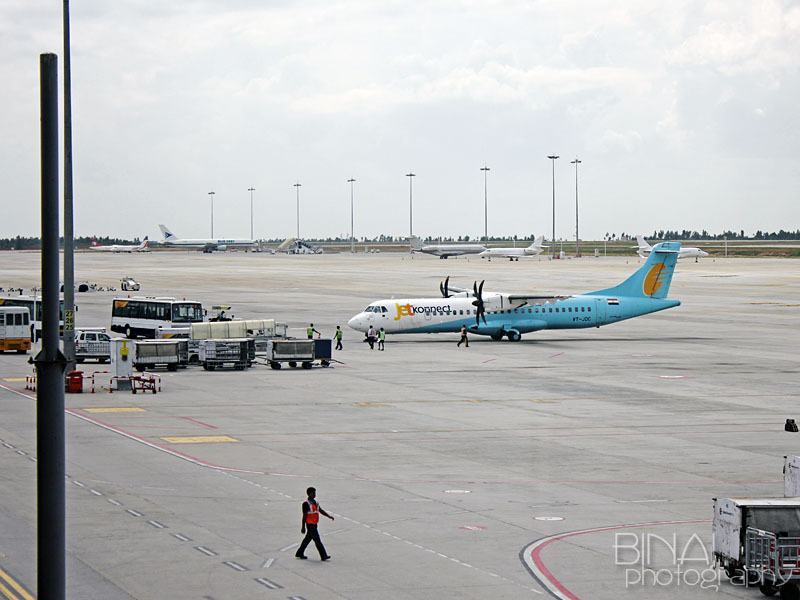 Sometime around 1458hrs, VT-JDC of Jet Airways (ATR 72-500) arrived. I had made an informed guess that it could be VT-JDC for me - all thanks to the few ATR flights that get logged on FR24. I headed to the gate (#6), on the lower level, soon after VT-JDC came to a halt. 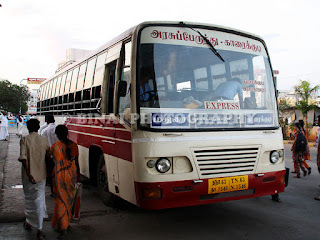 The ground support comes alive..
Just before boarding started.. the bus is ready to take us to the bird! The gate area seemed very empty - I was sure this wouldn't be a full flight. Boarding commenced just past 1513hrs. Boarding wasn't by seat number - but just a random boarding call was made. There was one family ahead of me to board - they were led by a GoAir Captain. The agent at the gate spoke briefly to him, wished him a good flight and were allowed on to the bus. 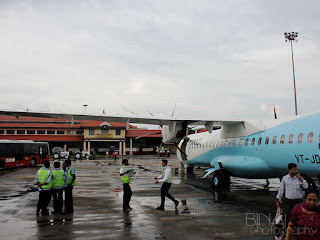 We were at the aircraft by 1517hrs - it was VT-JDC indeed for my flight. 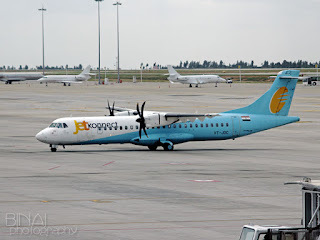 This was my first flight with a JDx series flight - the aircraft was in the harpic blue JetKonnect livery still. 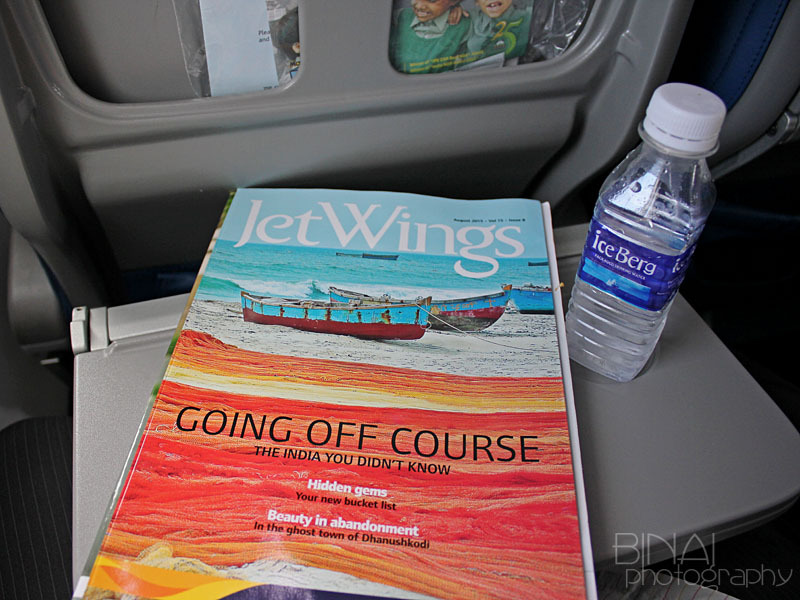 I got into the aircraft a minute later - the interiors of JDC was different from all the Jet Airways ATRs that I have been in. 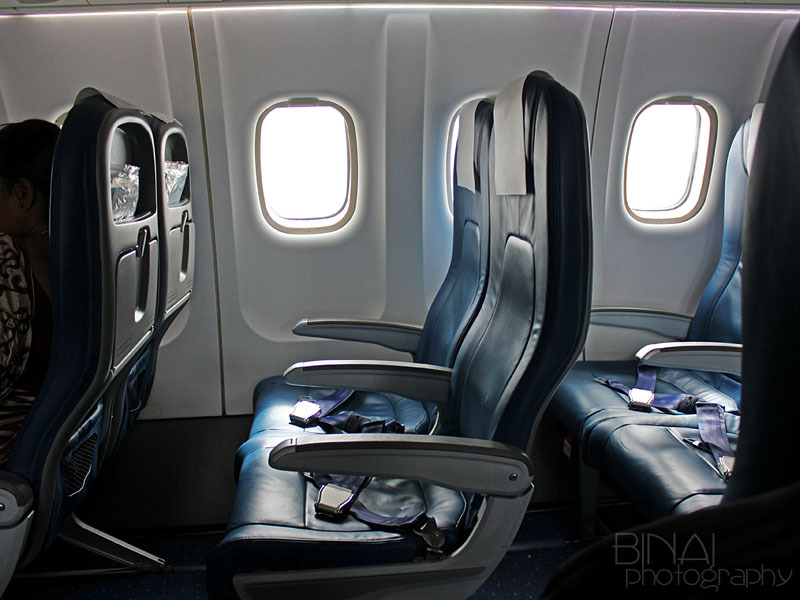 This aircraft had the new Recaro Slimline seats - a lot of knee room was liberated by these thinner seats. Although they look thin, I somehow love these seats. Although the aircraft was very clean inside, my windows were horribly dirty! All set to fly.. the luggage is all inside..
A Panorama shot of Juliet Delta Charlie before boarding..
Boarding took some time to complete. The flight wasn't full - as expected, but there weren't more than a couple of empty seats. 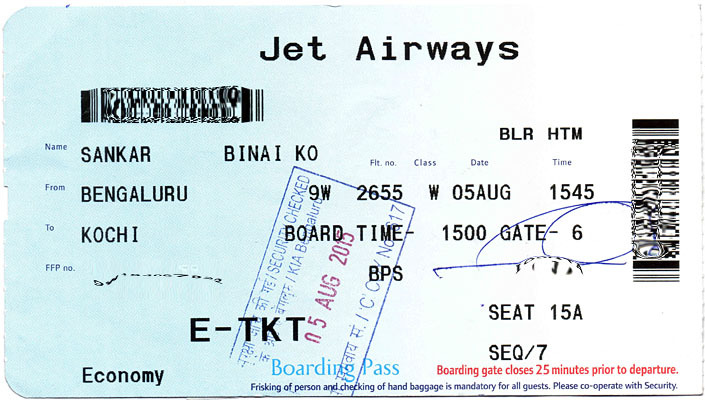 Boarding was complete at 1530hrs, and Puneeth armed the door at 1533hrs. Puneeth and Angeline were manning the cabin, while Capt Suresh along with Capt Radhika were in the deck. We were pushed back at 1535hrs. 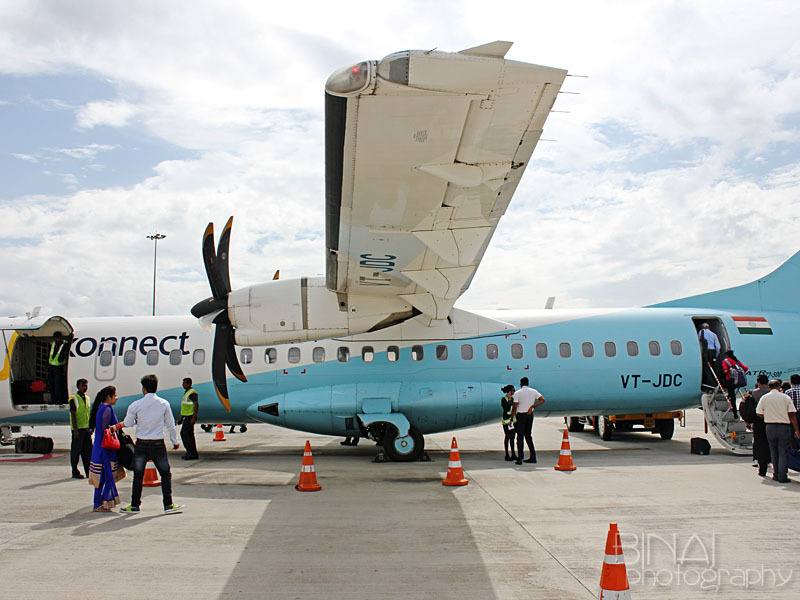 The Pratt & Whitney PW127F stirred up to life as we were pushed back - the aircraft got set for its ride to Kochi. We started taxi at 1539hrs - it was a long run to the 27 end of the runway. We reached the holding point at 1544hrs. On the way, I spotted an IndiGo A320 lifting off from the runway. We also took off right behind, from Rwy27, at 1545hrs. The seatbelt sign was turned off at 1553hrs, and the service started soon after. VT-JDC is not a very old bird, and was recently refurbished as well. 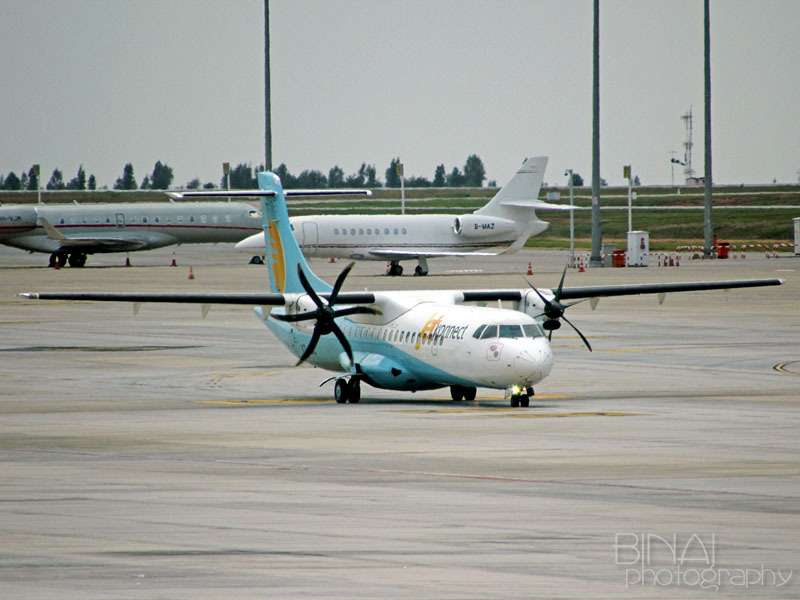 The bird (cn: 772) was originally delivered to the now defunct Kingfisher Airlines as VT-KAO in December 2007. 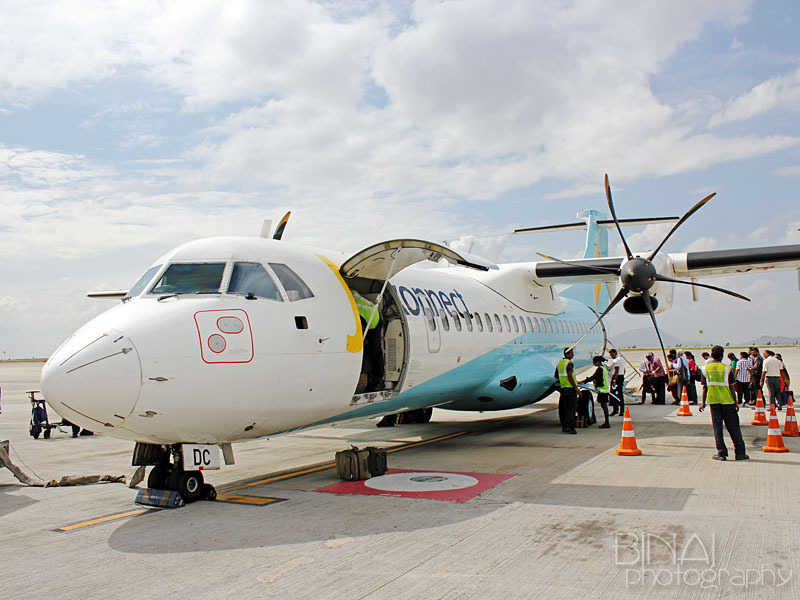 When the airline wound up, the aircraft was withdrawn from service (October 2012) and de-registered. 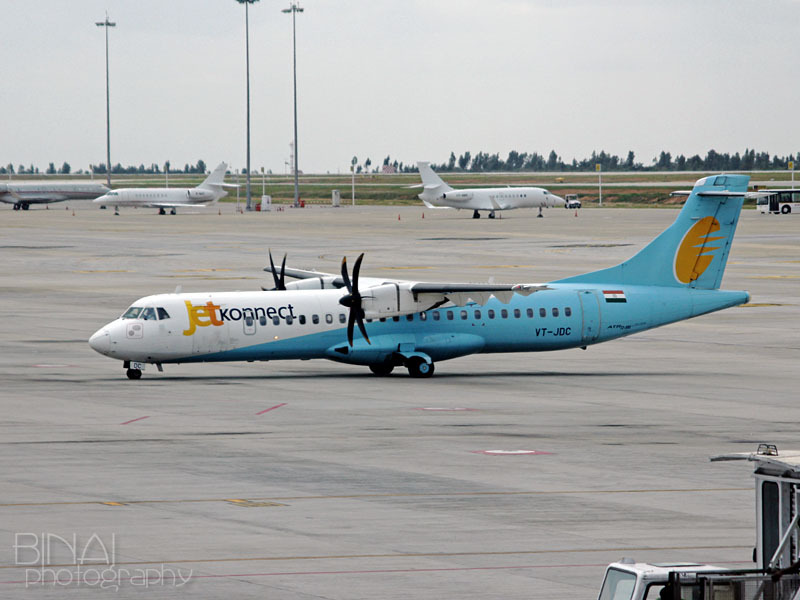 The bird returned to India as VT-JDC in February 2013. The bird looked great after its recent refurbishment. In the meantime, the trolley came closer to me. The "Veg or Chicken" questions became more audible as the trolley came closer. One passenger asked "how much" - the FA went about explaining that its free, and that Jet is a Service carrier. The trolley finally reached my row - "Sir, Veg or Chicken?". Veg, of course! 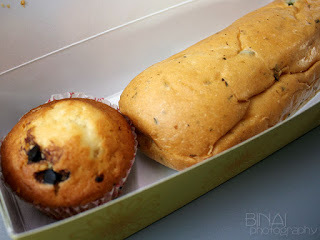 The sandwich and the choco-chip muffin.. 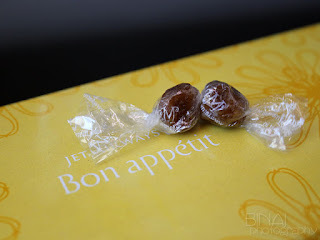 The box contained a Veg Sandwich, a muffin and the famed imli (tamarind) candy. A bottle of water was given along the snack box. The sandwich was soft, and contained a sweet corn filling. The muffin was unusually good - soft, and with chocolate chips in it. The soft imli candy was the perfect way to round up the meal. Interestingly, they ran out of chicken sandwiches - that some passengers up front did make a scene about not getting their choice. The seatbelt signs came back on, and a landing announcement was made at 1634hrs. We were flying amid a lot of clouds. In fact, soon after the landing announcement came, the captain came on the PA and briefed us about the flight. He said it would be a bumpy landing - it was cloudy, visibility was around 2500m and mild rains were expected. 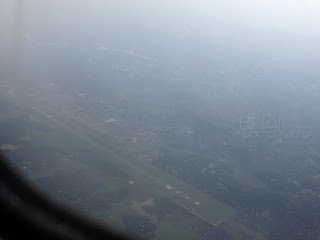 Thats Kochi airport.. seen while overflying the airport..
We were descending slowly, and Kochi airport soon came to sight. We overflew the airport, and then turned east. While flying eastwards, I spotted two aircrafts on their landing finals - the first one was a Jet Airways B738, and the one behind was IndiGo A320. After flying east for a few minutes, we turned around, and lined up for landing. By now the "crew to stations" call was made, and we were on our way to touch down. We finally touched down at 1655hrs - one of the smoothest landings I've ever witnessed till date. It was hard to exactly guess the time we touched down - so soft! A very hard braking followed - a very hard braking, at it! We exited the runway and taxied down to Stand 7, and parked there by 1658hrs. Welcome to Kochi International Airport announcements followed by the "we are early" announcement followed. Quite unusually, people remained seated till the seatbelt sign actually went off. Deplaning started very soon after. 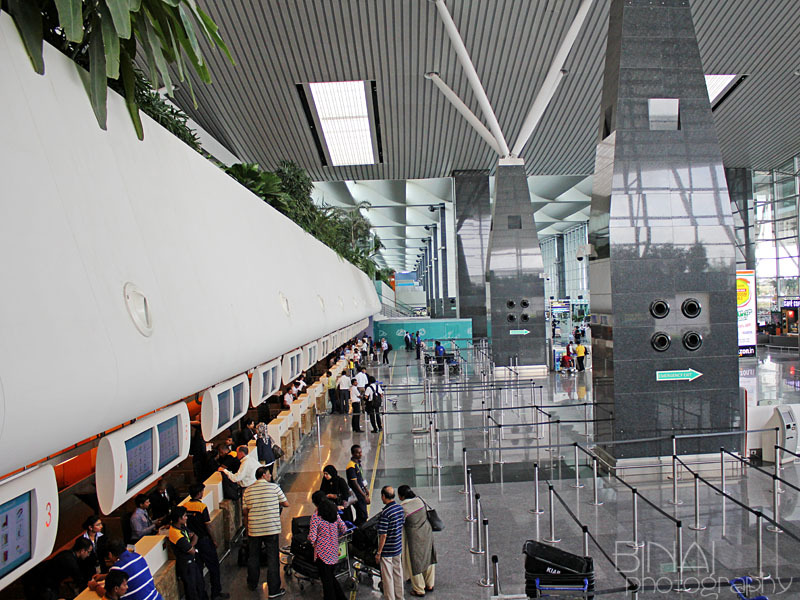 Although the aircraft was actually close to the terminal building, buses were used to ferry passengers to the terminal. 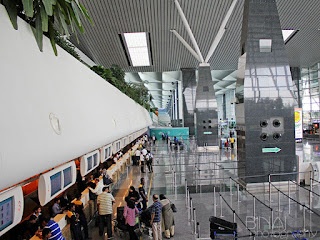 The terminal was quite deserted - ours was the only arrival in the domestic section at this time. It took a very very long time for baggages to appear - mine came only at 1718hrs! While waiting for my bags, I happened to strike a conversation - rather, run into - the GoAir Captain who had boarded before me at Bangalore. It is shameful, but I had overheard him talking to someone on phone, and he identified himself as Capt. Anup Ghosh. The name rang a bell in my mind - I quickly checked my log, and checked the commander who flew my two flights with Go. Yes! 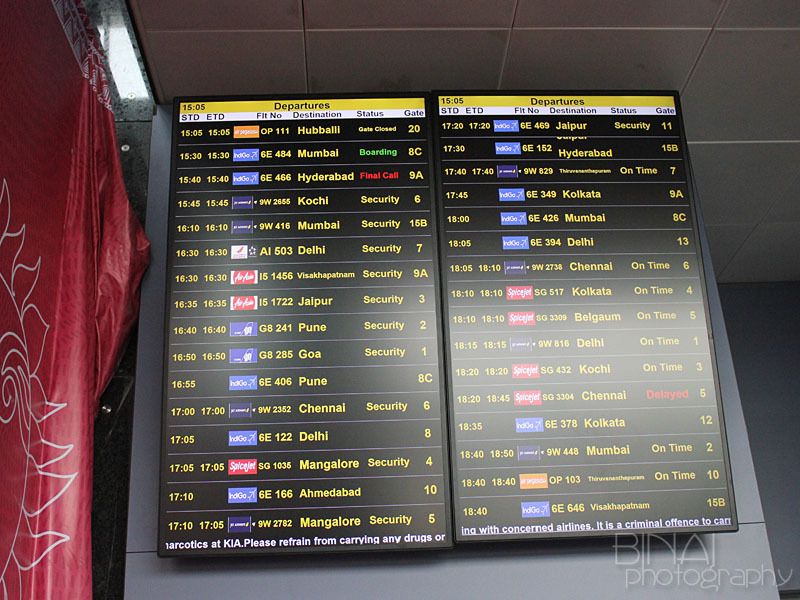 It was him, who flew me to Pune last year (Read here). It was a pleasure speaking to him - and I was quite honoured when he remember this post, and he happens to be a reader of this blog. Thanks a lot, captain! 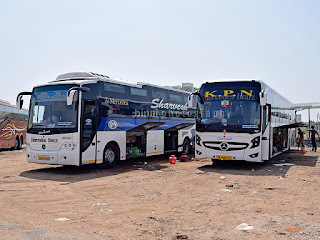 I am sure you are reading this too :) Finally, both of us got our baggages are the same time - after bidding him adieu, I had to rush out to get a bus for my 100kms ride ahead. 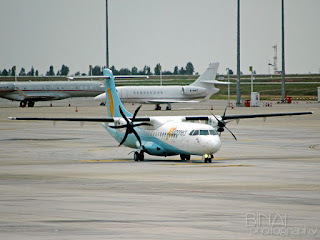 Epilogue: I was flying an ATR after three months. The new seats in the ATR was a refreshing change - I loved the experience. The service was great - calls were attended quickly. 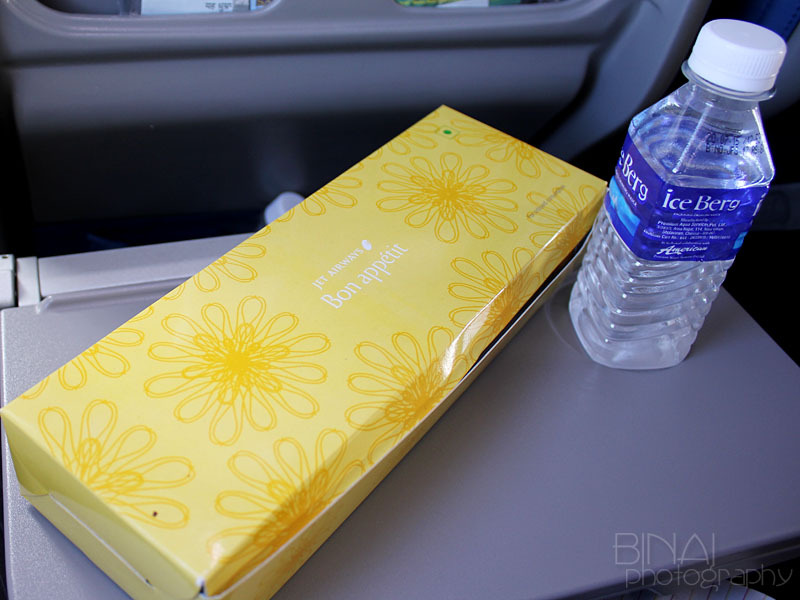 In fact, the crew walked around with water bottles before push-back, and that was a great touch. It was a nice sweet trip. Meeting Capt. Ghosh was an icing on the cake. It felt great speaking to him. A flight to remember for long. 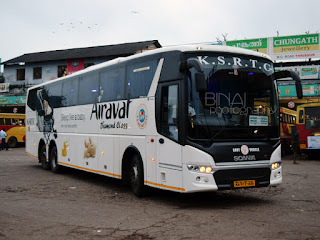 Airavat Club Class: Thrissur to Mangalore!